This Yoda beanie is designed for an adult male with a 24-inch head circumference. When laying this beanie flat, it measures 11 inches across and is just over 8.5 inches tall. If you need a different size you can add rounds or you can use your favorite beanie pattern and just use the Yoda ears from this pattern. 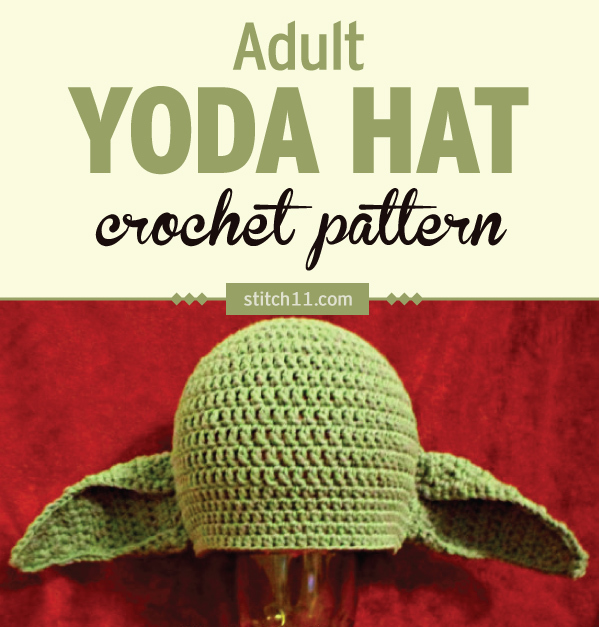 I also have a free 3-6 month size Yoda hat crochet pattern available. This pattern is a custom fit for a family member. 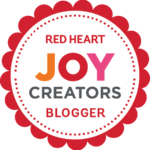 If you are not sure of what size you need, I would suggest checking out the size chart at the bottom of the post that I discovered on Crochet In Color. Round 8-15: CH 3, DC in each DC around. Join to top CH of CH 3. Round 16-19: CH 2, HDC into each stitch around. Join to top of CH 2. Using TWO strands of yarn. SC around the edge of the ear. With 3 SC into each corner. When attaching the ears, I folded the of the top of the ear down around 4-5 stitches and the bottom of the ear up about 2 stitches. Thanks for sharing your pattern! Hdc 2 together? What do you mean by that? Either double up your yarn or go down a hook size. The ear instructions are confusing. Says to use two strands of yarn ?? If you hold two strands of yarn together, it makes it thicker, stronger and more stiff. Ideal for ears you want sticking out and not floppy.